click photo to enlarge On our way to the Great Basin National Park we stopped in the city of Ely Nevada. It was founded as a stage coach stop along the Pony Express route. 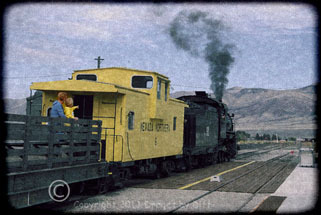 The railroad to Ely is preserved as a heritage railway by the Nevada Northern Railway and known as the Ghost Train of Old Ely. 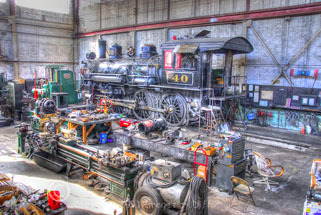 They have steam train rides, museums and of course trains. click photo to enlarge Ely had a mining boom in 1906 with the discovery of Copper. 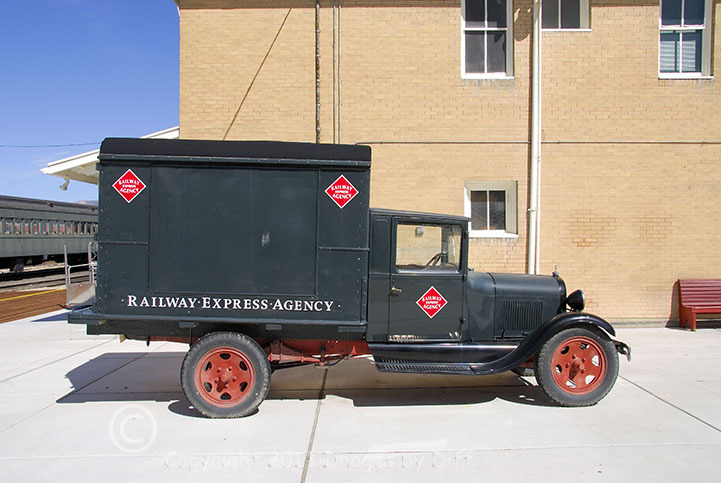 Ely was home to a number of copper mining companies, Kennecott being the most famous. With a crash in the copper market in the mid 1970s, Kennecott shut down and copper mining disappeared (temporarily). 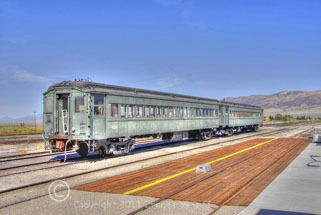 As Kennecott's smelter was demolished, copper concentrate from the mine is now shipped by rail to Seattle, where it is transported to Japan for smelting. The dramatic increase in demand for copper in 2005 has once again made Ely a copper boom town. click photo to enlarge Ely has a population of just over 4,000 people. 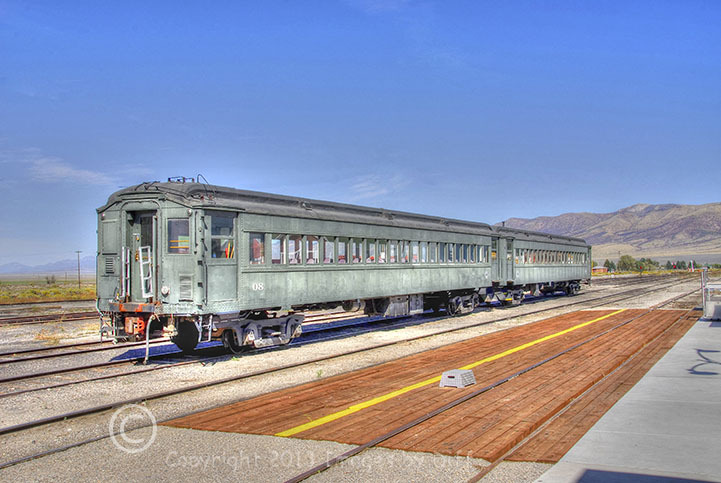 The big thing in town is the tourist industry with the biggest draw being the trains. 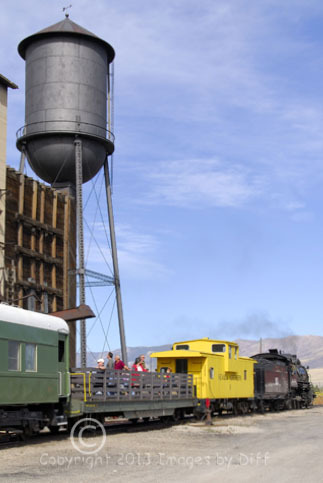 The railroad museum features the Ghost Train of Old Ely, a working steam engine passenger train that travels the historic tracks from Ely to the Robinson mining district. 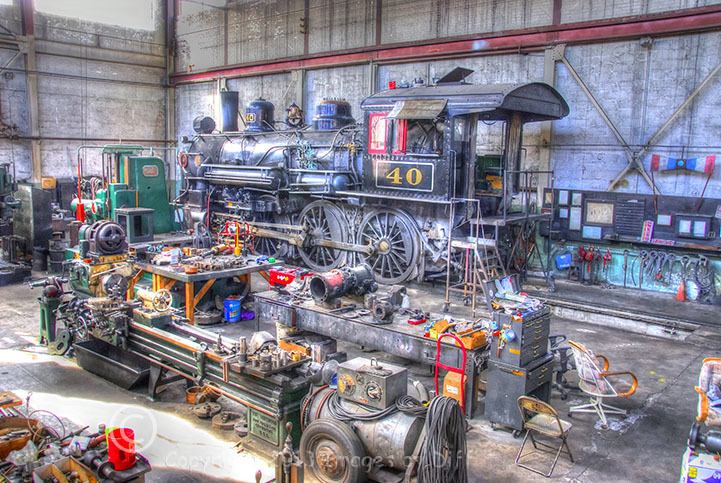 In the photo below we were allowed to just wander through this repair depot at will.